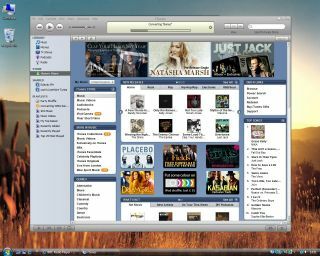 Apple's iTunes digital music player is growing a phenomenal rate, according to a web marketing survey. It has a experienced 47.5% growth in unique users in the past year, contrasting strongly with figure rises for its rivals. During the same period RealPlayer rose by 9.1%, Apple's own QuickTime rose 8.7% and Windows Media Player rose by 2%. The survey, by internet marketing group Website Optimisation, showed that iTunes is now the third most popular streaming media player in the world, and is poised to overtake RealPlayer in the second quarter of this year.